Technology really can help you saving a lot of money. And apps are designed to do exactly that. 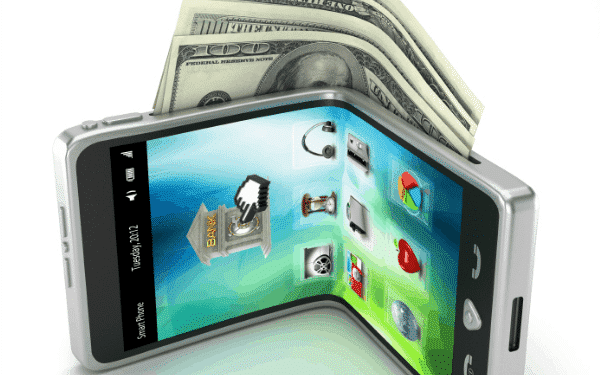 Here we have listed 10 apps that can help you in saving money. We have covered all the areas like shopping, taxes, phone bills, stocks etc. The App is For: If you want to stay in your budget then Money Lover is the best app for you. You can easily manage your daily finances with this app. You can manage your daily expenses on food, grocery, travel, accommodation, entertainment etc. App could be downloaded for free. The App is For: Delight Circle app is created for making best use of shopping discounts. The app looks for discounts on various brands, shopping stores and restaurant. It also looks for offers on grocery, clothes and gadgets. Now delight circle is migrated to Save Zippy. The App is For: As the name suggest My Tax India app is for doing your taxes. Tax rates are quite high and you want to save money. This app could help you from not only saving money on taxes but also not paying an accountant. The app would give complete technical analysis through graphs and other tools. The App is For: Although I didn’t need to mention these two apps but still it is important to talk about them. You know how to use these two apps. It saves you a lot of money on phone calls. Similarly there is other app known as Whats App. Reduce your phone bills with Viber and Skype. The App is For: Coupons are of great value, you can save thousands of rupees every month if you know about a coupon app. I know one app named Coupon Sherpa. With this app on your mobile you can get coupons for retailers, restaurant and other stores. The coupon Sherpa is free to use. The App is For: Onavo is a great app for checking data plan on your mobile phone. Onavo will help you keeping track of your data usage for a plan so that you don’t overuse it. It will give you alerts if you are using more data than required. You can save a lot of money on bills every month. You need to pay to use this app. The App is For: Expense Manager is just like Money Lover. It will help you to organize your daily budget. But the difference is Expense Manager will help you generating accurate reports and it is not free like Money Lover. You get a free trial then you have to pay. The App is For: My Smart Price app is great for people who shop online. Online shoppers can save a lot of money with this app. You can compare prices from 30 different ecommerce sites and choose the best deals for you. The App is For: Although there are many other apps for keeping an eye on stocks but Money Control has the best one. If you trade then you can use MoneyControl’s app to follow stocks every minute as market moves. The App is For: The last money saving app in our list is Happy Hours India. This app is exclusively created for getting best deals on food and drinks in your city. The app is free to use. So these were some of the apps for saving money. There are many others like Mint, bill tracker, Shop Kick etc but for Indian users above mentioned are the best ones. For downloading the apps visit their given website.